The pole lathe takes a little getting used too. Even more so since I’m trying to learn to use it and learn to turn simultaneously. It took me a couple of hours to develop a rhythm and feel for the pumping action. 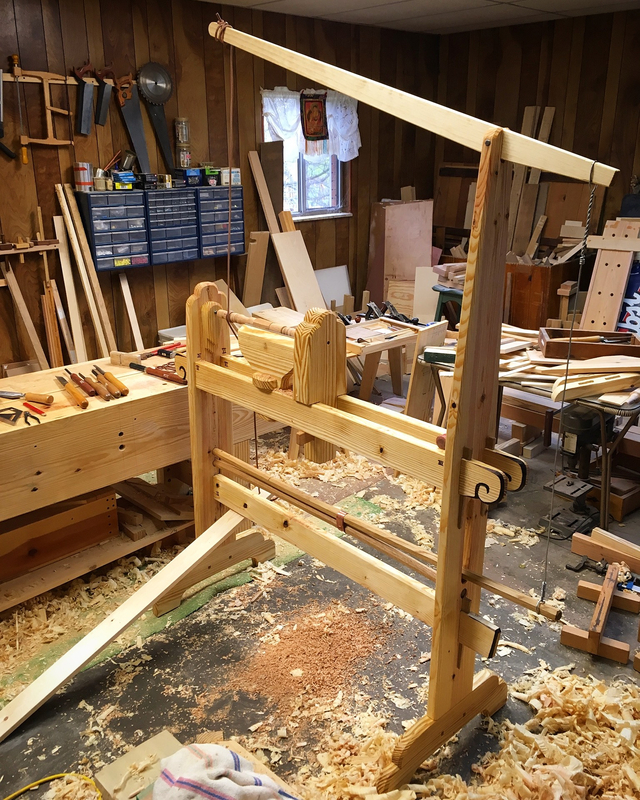 It proved to be a much more relaxed rhythm than I had imagined it would be and there is a good bit of feedback from the lathe and the work to guide you. One element of this lathe that has proven quite useful is the adjustable double spring pole configuration. 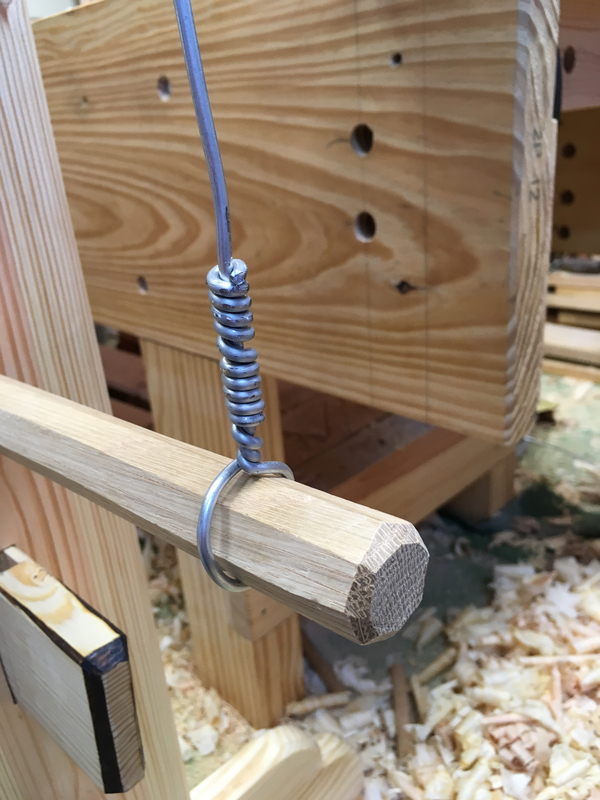 I quickly took to adjusting the tension on the springs to match the type of turning I was trying to do. Heavier tension for roughing out and lighter tension for more detailed work. It takes only seconds to reach down and slide the connecting strap to change the spring tension. On the subject of spring poles. 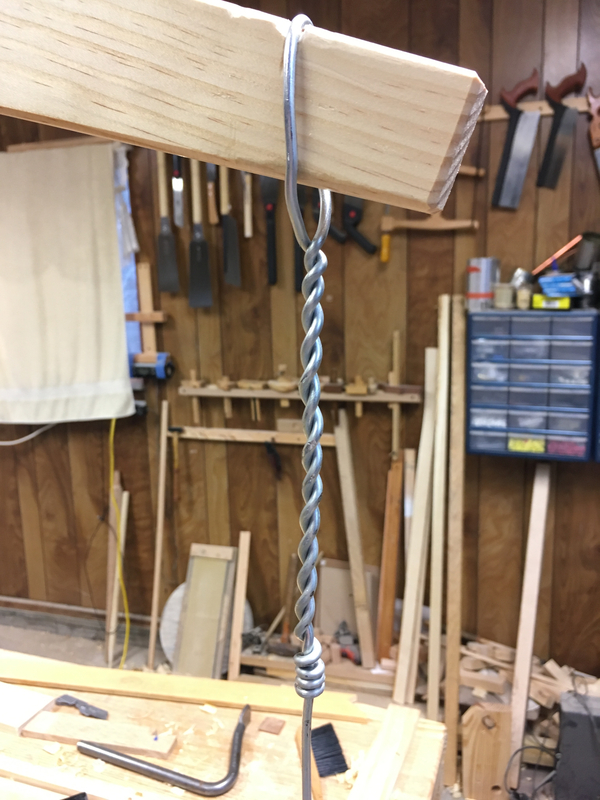 The plans call for 1″ diameter spring poles, but since I made my lathe a little longer I bumped my spring poles to 1-1/4″ diameter. 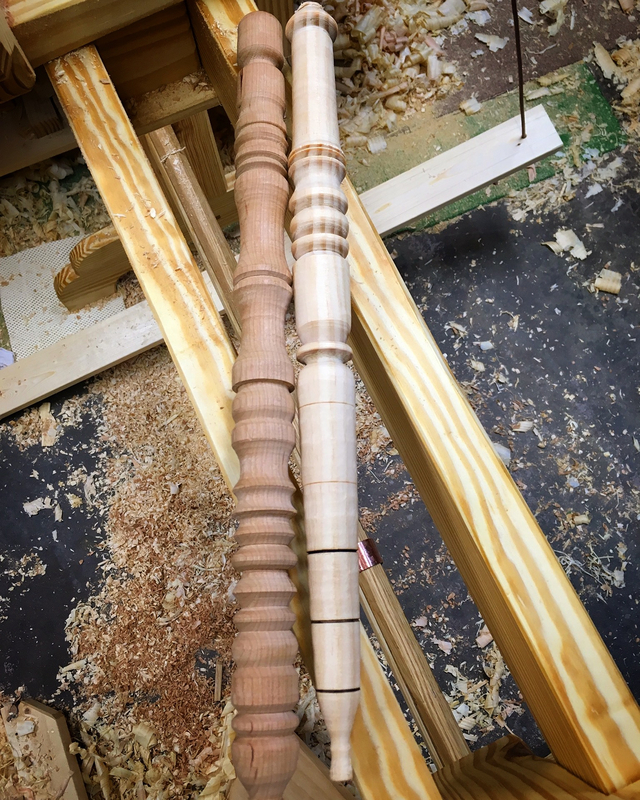 At first I thought that they were still too slight, but once I developed a feel for the lathe, I find that they are more than adequately sized for the task. On the movable puppet I opted for a fixed dead center over an adjustable screw configuration. I struggled over this fearing that it would be cumbersome to adjust the pinch between the two centers without the aid of the screw feed. However, I find the puppet quite easy and intuitive to adjust with light taps from a mallet or tool handle. I’m happy that I didn’t go to the extra work of fabricating a screw-fed center point. Another element that I needlessly worried about during construction was the wire linkage between the pivot arm and the spring pole. The wire is looped at each end and simply slid over the respective member and rests in a shallow groove. I was convinced that it would constantly slide off during use. It doesn’t. It hasn’t even moved from its installed location. My first couple of pieces through the lathe were just to get a feel for the lathe and the tools. Practice has its place, but I find that my skills improve much quicker when I’m tackling actual projects. 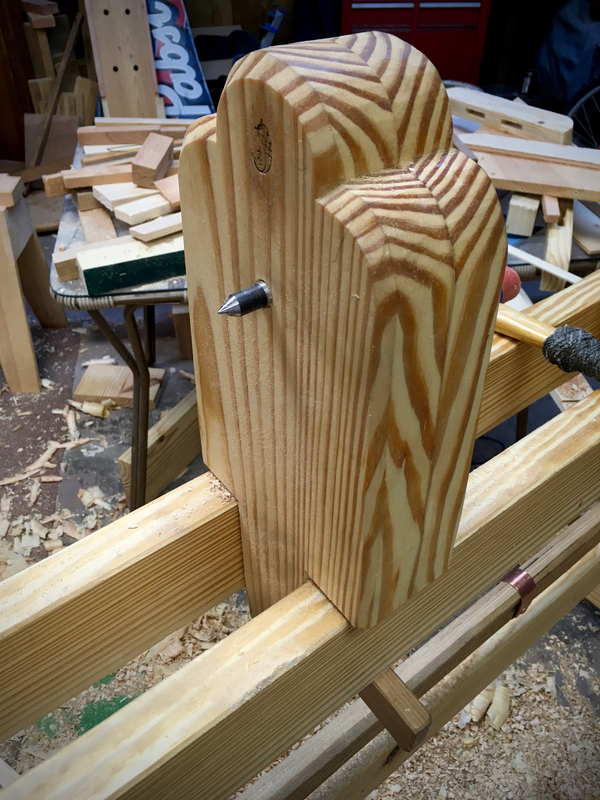 I’ve come up with a couple of projects that seem to be geared for the beginner, a Garden Dibber and Peter Follansbee’s Ratcheting Book Stand. The Garden Dibber is a basic shaping exercise, but can be made as elaborate as you want. The same holds true for the Ratcheting Book Stand with the added wrinkle of needing to duplicate parts. We shall see if my choices for my first projects was wise or not. 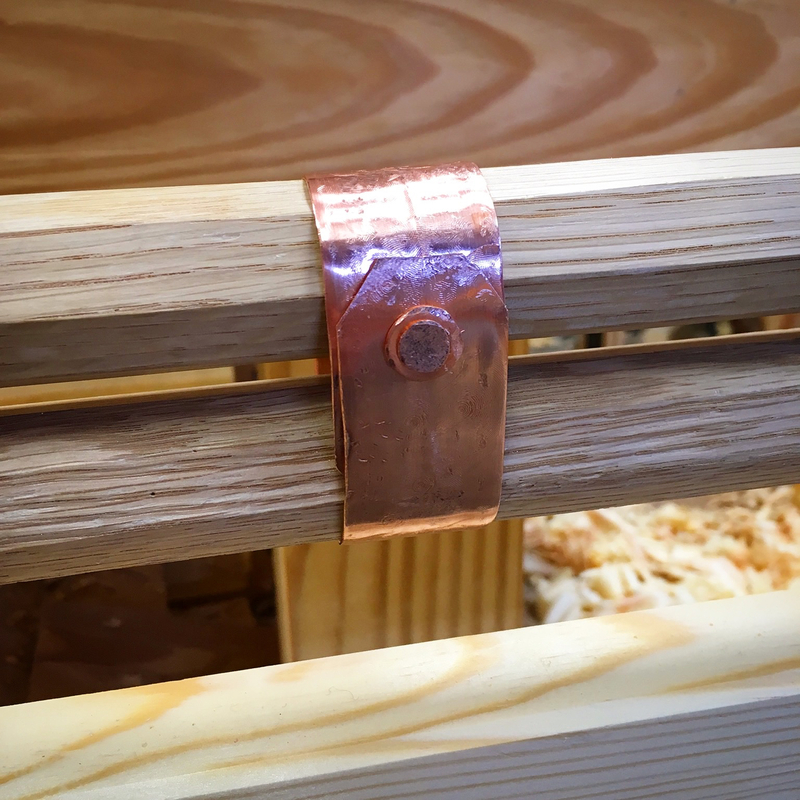 This entry was posted in 5-Tools, Spring Pole Lathe, Thoughts-Views. Bookmark the permalink. Great to read your enjoying it, turning is great fun and I see you’re already turning like an expert. I look forward to your next build of that book stand. I’m having a lot fun trying to figure it out. Its a whole different kind of animal. I’m working on a post that talks about the book stand. My blog is way behind my Instagram posts. You know how it is. With the modified lathe being slightly taller, how high is the swing arm at its highest point? My basement shop has ceilings just over 7′. I’m wondering if I should look at a different design – I did see a modern English design that relied on a bungee cord and a pulley attached to the ceiling rather than a wooden pole. Or I could attach a pole directly to the joists, maybe… It’s a rental house though, so I really like the self-contained aspect of this design. Mine has a max height in use of 82″, but I could easily adjust it down to 76″ without any noticeable change in the stroke. I made sure of it for the very reason you are asking the question. I want to be able to take mine into the basement if the garage becomes too cold or hot. I small area in the storage room just big enough to fit the lathe. It will also fit on the sun porch which has a low sloped ceiling.